Organizations are pursuing digital transformation and invest in various new technologies as they appear. There is an increase in demand for server operations systems as firms transfer development and production environments into the public cloud. The compound annual growth rate is increasing by 7.4% from 2017 to 2022 for the worldwide server operations system environment market. Although the Windows server market has been declining in shares and the server operations system environment installations are expected to decline, it still hosts the majority of commercial application software. Additionally, AWS accounted for 57.7% of total Windows instances deployed in the public cloud IaaS market during 2017. Shares for AWS were nearly 2 times the nearest cloud provider. As technology advances and legacy applications start migrating to the cloud, we can assume that AWS will continue to dominate the public cloud IaaS market. 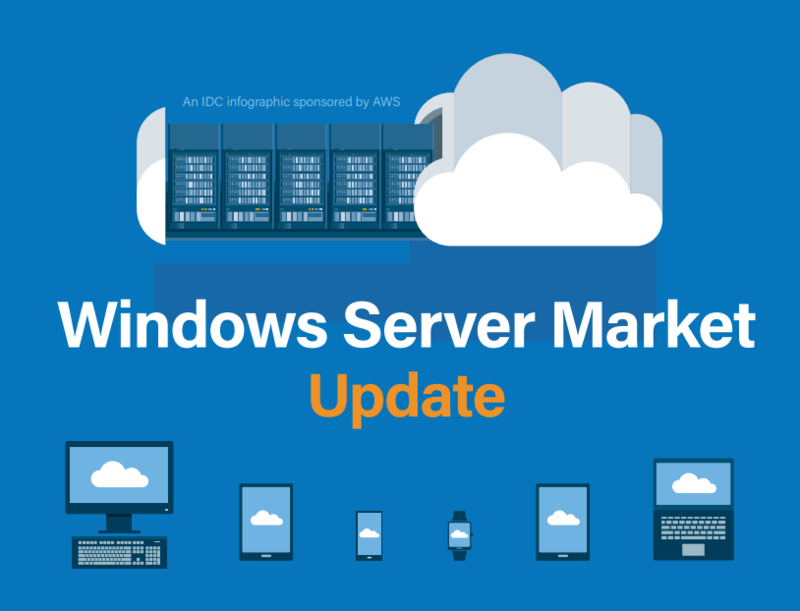 To download the full IDC Windows Server Market Update infographic, go here for more details.